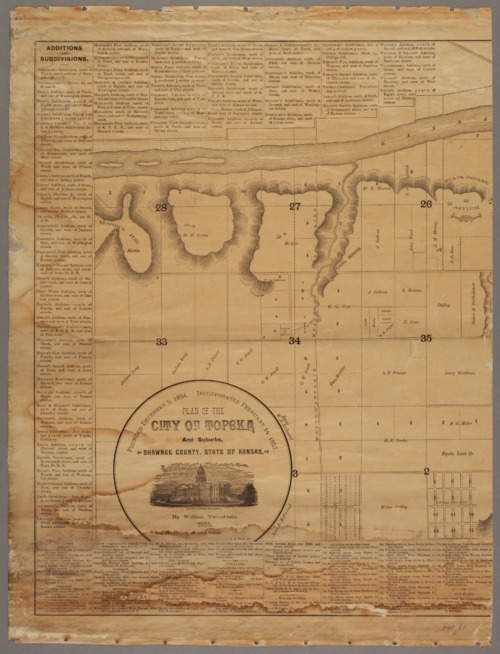 A plan of the city of Topeka and suburbs, and Shawnee County, by William Tweeddale, from official records and surveys. This map shows land ownership, streets, points of interest, railroad lines, and a portion of the Kansas river. A list of area businesses, churches, schools, and neighborhood additions is also included.